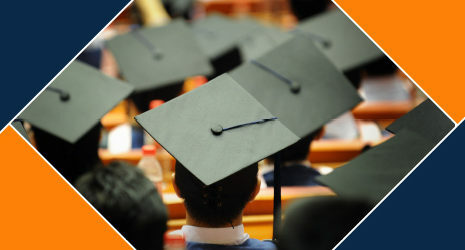 Graduate recruitment is an important area in the development of our organisation. We are a RICS approved training provider for APC candidates and offer a structured training programme. Each of our graduates benefit from working with a professional organisation that is big enough to deliver on award winning and multi-million pound projects, though small enough to ensure they are a key member of the team. Our graduates are exposed to the full range of competency experience with many having the opportunity to run their own projects in the first year. All graduates are allocated an APC Counsellor and Supervisor to support and guide them through the two years of structured training and help them prepare for the final assessment. All staff are offered regular external and internal Continued Professional Development sessions. In addition, should you decide to continue your studies and pursue a Master’s degree we will be happy to discuss this with you. 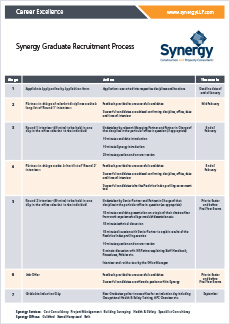 Please download our Graduate Recruitment Process for more details on our scheme. "During my time at Synergy I have worked on a number of education projects including a detailed repairs survey on a school in Gibraltar." Synergy employed me on an eight month graduate contract after graduating with an Accountancy and Finance degree from Aberystwyth University in 2012. I trialled the various disciplines within the Partnership and settled on Quantity Surveying as my career of choice. Whilst continuing to work part-time at Synergy I successfully completed my Master’s Degree at Portsmouth University. I am now full time at Synergy and working towards my APC. I graduated with a Building Surveying degree from Kingston University in 2013 and started working at Synergy as a Graduate Building Surveyor. During my time with the business I have worked on a number of education projects and have undertaken a schedule of repairs survey at a school in Gibraltar. I have currently gained 2 years of my APC diary and plan to sit my final assessment next April.